Our sweet little Cue has started his second year in our classroom. He has certainly grown since we first got him. The new students can't wait to take care of him. They will each be getting a turn to care for him and of course, hold him! Look her for updates about Cue each week from his caregiver. 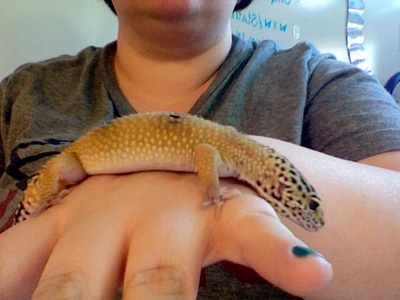 It has been about three months since we welcomed Cue into our classroom. In that time he has grown and shed at least 4 times. It is very interesting to watch his shed. We have been able to feel the texture of his skin in his shed. He even lost his head skin like a mask, with eye slits! He couldn't get it off his head and thrashed around his cage! Cue continues to love eating him worms and crickets. One day, we lost power for a couple hours and we covered his cage with blankets to make sure he stayed warm. We also got him a new hammock for his cage. He didn't like it at first, but now he likes to lay in it. Pretty soon we will have to get him a new, bigger cage. He is growing too fast! Cue likes to be out of his cage too. He likes to sit on Mrs. Wright! He is getting better at being held, too. When he is shedding we can't hold him. He is cranky!!! We know that Cue is a boy now. No doubts about it! Some of us call him Quebert, like the video game. 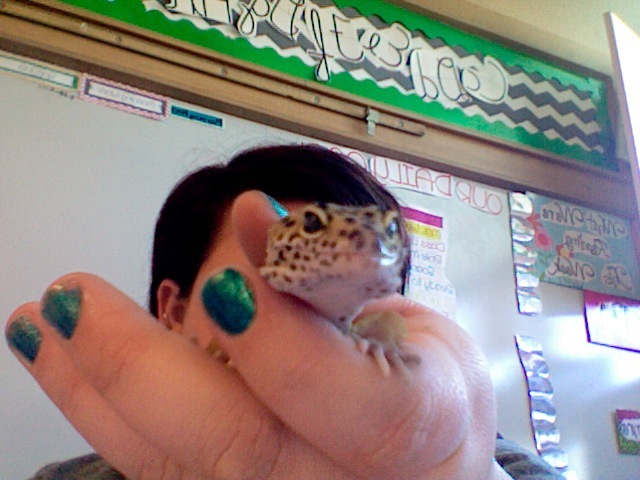 Cue is a very fun class pet. We all take turns cleaning up after him and cleaning his cage. We love when we get to feed him. Cleaning up his poo, we don't love so much! His body is not quite the size of my hand. Cue trying to get away! We have welcomed a new member to our class. 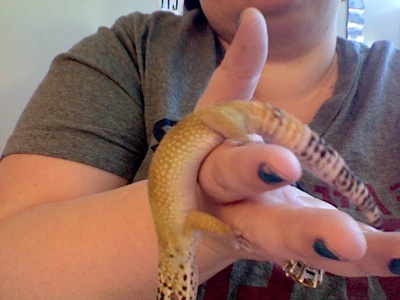 Cue is a leopard gecko and a very cook Christmas present. We want to thank Petsmart Pals in the Classroom grant for helping to offset his initial cost and set up. Since we are on break, Cue has come home to live with me for the break. We have already had some crazy times. With the power going out at my home we had to pack up and go to my Moms to make sure he was warm enough. I had noticed that he was becoming milky in color and was ready to shed. While there he shed. We got to watch him remove the skin and eat it. It was awesome! He is eating 5 crickets a day and we're going to try mealworms next week. 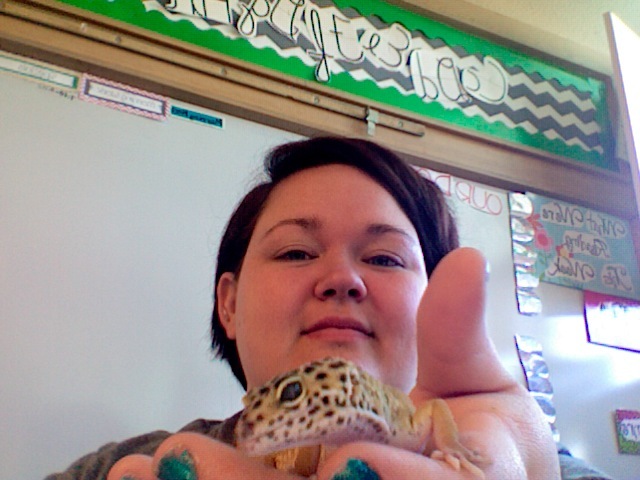 I can't wait for us to get back to school so the students can start playing with him and taking care of him, too!